Citric Acid, Silica, Natural & Artificial Flavors, Sucralose, Acesulfame-K, And FD&C Yellow No. 5. Take one (1) serving (1 scoop) blended into 8oz (240mL) of ice cold water, either before, during, or after workout, or as directed by a qualified healthcare practitioner. On non-training days, take one (1) serving (1 scoop) first thing in the morning, on an empty stomach, or as directed by a qualified healthcare practitioner. Not intended for use by persons under age 18. Do not exceed recommended dose. Get the consent of a licensed physician before using this product, especially if you are taking medication, have a medical condition, you are pregnant, nursing or thinking about becoming pregnant. Keep This Product And All Supplements Out Of The Reach Of Children. Suggested Use: Take one (1) serving (1 scoop) blended into 8oz of ice cold water, either before, during, or after workout, or as directed by a qualified healthcare practitioner. On non-training days take one (1) serving (1 scoop) first thing in the morning, on an empty stomach, or as directed by a qualified healthcare practitioner. 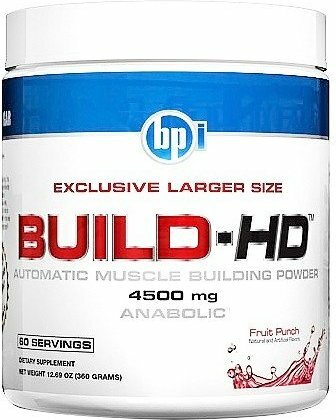 DO NOT USE BUILD-HD™ without first consulting your physician. This is an extremely POWERFUL POWDER. Not intended for use by persons under age 18. Do not exceed recommended dose. Get the consent of a licensed physician before using this product, especially if you are taking medication, have a medical condition, you are pregnant, nursing or thinking about becoming pregnant. Take one (1) serving (1 scoop) blended into 8oz of ice cold water, either before, during, or after workout, or as directed by a qualified healthcare practitioner. On non-training days, take one (1) serving (1 scoop) first thing in the morning, on a empty stomach, or as directed by a qualified healthcare practitioner. Silica, natural & artificial flavors, citric acid, sucralose, acesulfame-K, and FD&C red no. 40. Take one (1) serving (1 scoop) blended into 8 oz of ice cold water, either before, during, or after workout, or as directed by a qualified healthcare practitioner. On non-training days, take one (1) serving (1 scoop) first thing in the morning, on an empty stomach, or as directed by a qualified healthcare practitioner. without first consulting your physician. 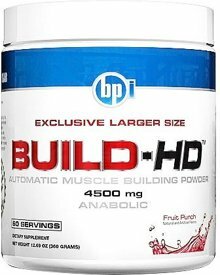 This is an extremely POWERFUL Strength Building and Fullness Response Powder. Not intended for use by persons under age 18 18. Do not exceed recommended dose. Get the consent of a licensed physician before using this product, especially if you are taking medication, have a medical condition, you are pregnant, nursing or thinking about becoming pregnant. Enough of these ridiculous, over hyped and outdated creatine formulas, saturated with 75 grams of sugar labeled as "maltodextrin." They're trying to hoax you into spending $50 for something that you can buy at Sam's Club for 75 cents a pound. Those "tricks" are for kids. Enough of these pre/intra/post formulas that weren't any good even a decade ago. Aren't you finished being force fed so-called concentrated creatines with zero research on concentration, where the fanciest thing about them is the dainty little bottles they dress them up in? Fruit Punch This is a Buy 1 Get 1 FREE offer!